The solicitation for Nova #7 in June didn’t look like it was for the final issue of the series. And it appears that no, this isn’t one of those planned limited series. The creative team commiserated on Twitter amongst each other. @theramonperez @KaleeshArbiter @VivVizh Yup. I think we’re going out in a nice way. Thanks so much for the support. 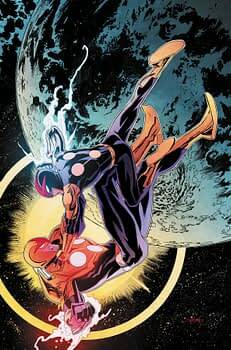 Could Nova Vol 1 TPB be getting a two issue extension to its page count?